Thank you so much for attending stay and play last Monday. Stay and play will now take place on Tuesdays in the main school hall from 9-10.30am. There will now be a maximum of 20 places available in each session. 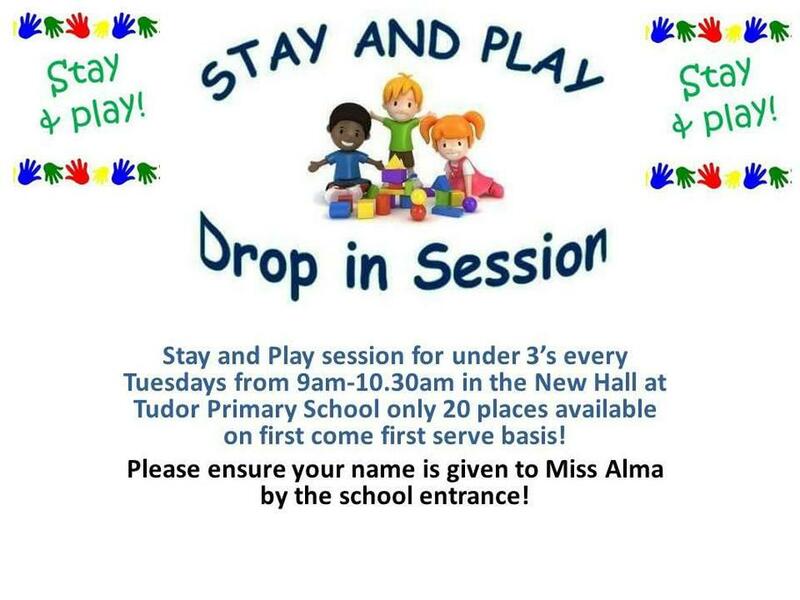 On Tuesday mornings at 8.40am Miss Alma will wait at the entrance gate to the school, if you are interested in attending this session please write your child's name down as you enter the school. Once we have a maximum of 20 names we will then be unable to allow any more children to attend that session. Thank you for your continued support. Mrs Benning.